Laurence Holder is a well known playwright of historical and biographical plays. In 1978 JUBA* was directed by the legendary John Vaccaro; in 1979 THEY WERE ALL GARDENIAS featured Carmen Lundy and Walter Bishop, Jr, directed by Regge Life; in 1981, ZORA featured Phylicia Rashad, directed by Elizabeth Van Dyke, and WHEN THE CHICKENS CAME HOME TO ROOST featured Kirk Kirksey and Denzel Washington, directed by Allie Woods; in 1991 ZORA NEALE HURSTON with Elizabeth Van Dyke, directed by Wyn Handman; in 1992 MONKnBUD featuring Alvin Alexis and Marie McKinney; in 1993 RUBY AND PEARL, directed by Rome Neal; in 1995 M: THE MANDELA SAGA featured Marjorie Johnson and Todd Davis, directed by Randy Frazier; in 2000 MONK featured Rome Neal, co directed by Neal and Laurence Holder; awarded multiple AUDELCO AWARDS for excellence in theatre. Mr. Holder has many plays nominated for Audelcos such as MAN with Kirk Kirksey, HOT FINGERS (JELLY ROLL MORTON) featuring Bruce Strickland and directed by Glenn Weiss, RED CHANNELS, directed by Rome Neal. Mr. Holder is also author of five published volumes of plays: RENAISSANCE MEN I, RENAISSANCE MEN II; RENAISSANCE WOMEN; RENAISSANCE COLLECTION; and RENAISSANCE SOLOS; all are available from Amazon.com, The Drama Bookshop, and Sister’s Uptown Bookshoppe. In addition Mr. Holder has produced and directed drama since 1974 when he produced BIRD OF PARADISE which featured the direction of Ornette Coleman; in 1984 HOT FINGERS featured Bruce Strickland, MAN featured Kirk Kirksey, WOMAN featured Judith Thames. In 1998 ZORA and LANGSTON featuring Gerard Catus and Andrea Holder and FAGEN featuring Tony Jackson and Andrea Holder. 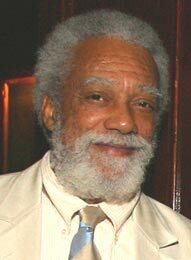 Mr. Holder was co-founder and co-producer of the reading series Red Harlem Readers, which presents plays, essays, and poetry every Sunday afternoon at Indian Café on Broadway in New York. He is the proud father of three children: Chris, Dori, and Laura, and grandfather of seven grandchildren, and spends his time doting. * Received AUDELCO nomination for musical creator.